“It’s over and this time it’s final! We are really never ever, ever getting back together!” (with reference to Taylor Swift’s song), I painfully said to my Neutrogena Oil-Free Acne Wash. If you have read my Haul Part 2, I mentioned there that I bought this facial wash a couple of months ago and sadly, it didn’t work for me. PRODUCT CLAIMS: It will get deep into your pores to treat the breakouts you currently have and will help prevent further breakouts in the future. It claims to be effective and gentle enough to deeply clean without over drying or irritating your skin. JUDGMENT: Notwithstanding the huge number of good reviews I read and heard about this product, I can’t recommend it based on my personal experience. It didn’t do anything to aid my breakouts. It didn’t calm my skin. It didn’t deliver any of what it claims it will. However, don’t be totally discouraged by my experience alone. What didn’t work for me doesn’t necessarily mean will not work for you. It is such a shame that the brand I love for its great skincare products happen to carry this harsh and drying pretentious little oil-free acne wash (okay, so I’m really bitter here). I have always loved Neutrogena products. The facial foaming wash and daily facial scrub that I was using before are both from Neutrogena and I love those two products to bits and pieces. And oh! I so adore her moisturizers! In fact, if only I was not trying to see if other moisturizers will work just as fine, I could have bought another bottle of moisturizer from Neutrogena as it has the formula that is perfectly suited for my skin! That is why, I can’t stress enough how disappointed I am that my relationship with this oil-free acne wash didn’t work out. Before I start my list of complaints about this product, let me cite first the things that I believe are really good about it. Let’s start off with its packaging. Man! I love facial wash that comes in a bottle with a pump. It just really makes life so much easier. I also feel like it’s more sanitary when you just have to pump once or twice rather than holding the tube and squeezing the product out of it with your wet hands. Sometimes facial wash in a tube makes washing your face such a horrible experience. I also like that the bottle is clear which makes it very convenient to know when to buy a new one. You see, it’s the packaging that totally got me sold on this item! And of course, how can I ignore the fact that it’s from Neutrogena – my favorite skincare brand. 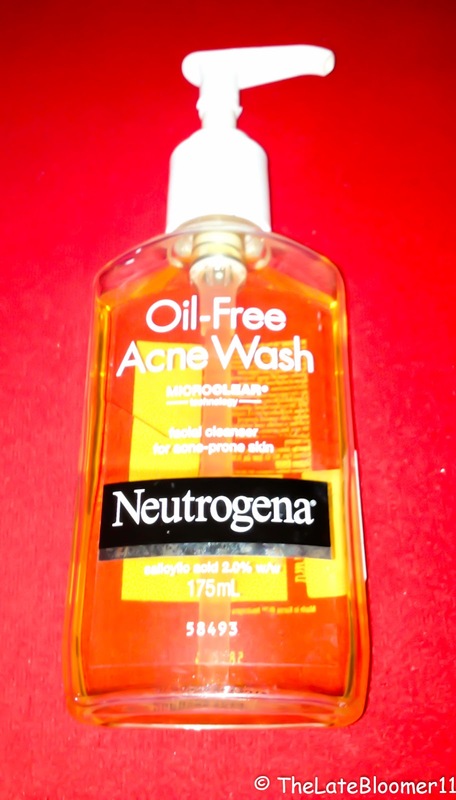 I have been breaking out super crazy these past two months, so I went out and bought this facial wash from Neutrogena to help me with my breakouts. When I got home that day, I was so excited to give it a try that I immediately removed all of my makeup off of my face the moment we got inside our room and went straight to the bathroom for my most anticipated new level of facial cleansing experience! I was so thrilled that it is oil-free and good for acne prone skin. I have combination skin that leans more towards the oiliness of the world and I have acne prone skin too, which just makes this facial wash the perfect product for me. After my first time of trying the product, I felt a burning sensation around the sides of my nose and mouth. I thought it’s just normal, so I didn’t let myself be bothered too much by it. The following day, it’s the same thing. Also I noticed that after drying my face with a towel, it feels like my face has just been stripped off of all the moisture. At first, I thought that it’s how it’s supposed to be because it’s oil-free. In short it will really help in controlling the oils in my face. However, I started to feel that even after I have applied a heavy-duty moisturizer, my face still felt dry, which at that point, already started to worry me. I continued using the product for one more week. I began to notice that the sides of my nose became very dry, flaky and itchy. The same thing happened around the sides of my mouth. This is not good. I decided to stop using it and bought a new facial wash: Eversoft. I’ll do a separate review about it very soon. 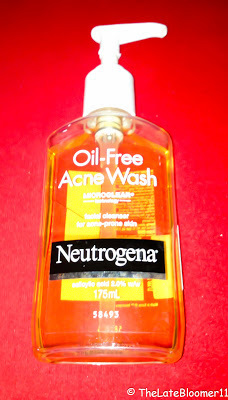 After almost a month of using Eversoft facial wash, I decided to give my Neutrogena Oil-Free Acne Wash a second chance. In the first 3-4 days of trying it again, I felt that my face is starting to like it. So I thought, maybe I can take back all the negative things that I professed about it several weeks ago. But NO!!! Just when I thought that we’re really getting along so well, it started its harsh touch again around the sides of my nose and mouth. The skin around the sides of my mouth and nose are now peeling, the other areas of my face are plain dry and a little bit itchy, and it didn’t help me with my pimple situation at all! So I said, “It’s over and this time it’s final! We are really never ever, ever getting back together!” To end this post, all I can say now is: NEVER AGAIN! Never again will I try this facial wash. PERIOD.